I love to give presents. When I'm in a dark place in my mind or need cheering up, sending cards or mailing out presents immediately makes me happy. I often forget birthdays -- the "Happy Belated Birthday" cards were made just for me -- but I've always thought gifts given just for the heck of it and sent at unexpected times were more fun. Everyone expects a birthday present, but not everyone expects a January the 22nd present. Over the past couple of months, I've received a number of lovely gifts in the mail -- cards, beads, what-not. I haven't blogged about them because to me, it would smack of bragging. 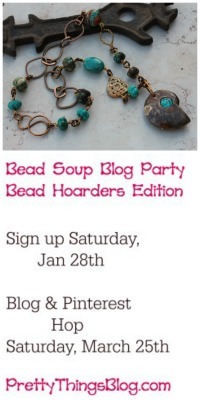 I've already had a few comments about the beads I get for Cup of Bead Soup (yes, I do pay, they're not free) so I didn't want to throw fuel on the fire by crowing over gifts I don't think I deserve anyway. But today I got an idea, and I want to share it with you. It started when I commented on Facebook that I loved this necklace made by Birgitta Lejonklous. Isn't it lovely? Anyway, I made the comment in her photo album, favorited it in Etsy, and went on my way. Then one day, I get a package in the mail, which in and of itself isn't that strange of an occurrence, but THIS particular package came from Sweden. My son loved all the colorful stamps on it. I couldn't remember ordering anything from Sweden, so was mystified. When I opened it, the heart necklace was inside, with a note from Birgitta that someone had purchased it for me as a surprise. 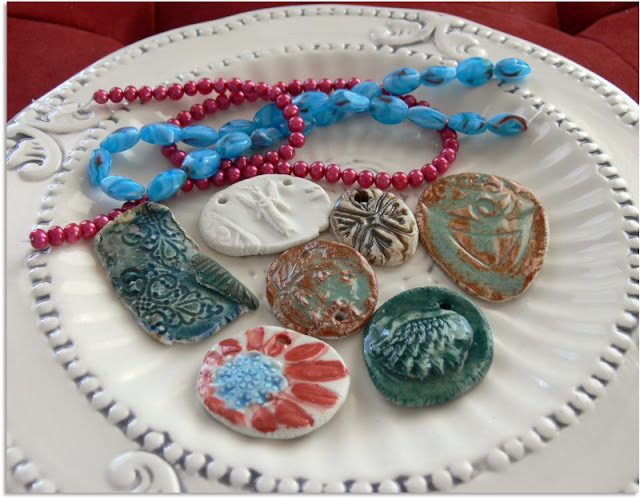 Not only that, Birgitta had added to the present by gifting me with some of her own handmade ceramic pendants and a couple of strands of beads. There are two reasons for my sharing this with you. I've tried to figure out who sent me the necklace by querying on Facebook, but alas, I have no idea and so can't thank them properly. So Reason #1 -- if you're reading, THANK YOU from the bottom of my heart. I'm touched and amazed and ... well, wow. Thank you. Reason #2. I'm going to Pay It Forward. I appreciate my readers so very, very much. You have no idea how amazing it feels to know that what I write is actually read. The comments and personal emails I get are like friendly conversations on the phone or chats across the table with coffee (and pie). Even the not-so-nice comments and emails have been welcome, because I learn something from them, believe it or not. So here's what you do. Until the end of the day tomorrow (that is, whenever I head to bed tomorrow, February 12th), leave a comment with your email address. I'll contact you for your mailing address, and sometime in the next few weeks, you'll receive something from me. It may be a card. It may be beads. It may be something else. There's no telling. But here's the catch. You MUST Pay It Forward as well. Next time you're in line at Starbucks, pay for the person behind you. When you're at the post office, turn around and tell the person next to you how wonderful they look today. Send a beautiful card to a friend you email all the time but haven't snail-mailed in forever. Paying It Forward can turn a lousy day into a brilliant day. It doesn't have to be huge (but it can be). It can be anonymous ... those can be tons of fun. My goal today is to have each person who reads this do one PIF this week -- and get ready for a treat. Holy smokes! What an awesome surprise, and just in time for Valentine's day. I too, just love that necklace. Turquoise and red together are just fabulous! Enjoy the goodies. I wondered who would do such a kind thing as send you that necklace when I read it on FB. That is just wonderful. And the fact that Birgitta sent you some more goodies. Well that is just too darn nice. I recently was the recipient of a sweet little bundle from someone I admire. It was so nice to be thought of. And I know what you mean about not wanting to brag... that is not your style anyway. It is like having a conversation, or like pen pals that are linked directly to one another, no waiting by the mailbox required. And to get to know those people on a personal level that you can send out something that suits them so well? That is special. I like your idea, and I am up for it! I don't want you to send me something, but just wanted to share that some friends on faceboook did a "handmade pay it forward". very similar. so if we signed up for one, we had to post it and agree to make things for 6 others sometime this year~ and keep it going. I love it. Pay it forward has such an impact! I love knowing that some little thing I did may have cheered someone up. Soooooo- have fun!!!! I am sure many people will be blessed by this post! What a lovely idea, while I can't participate on the receiving end (mail service to where I live can be from 5-11 months from the US) I will start a pay it forward where I am. Thinking on what I can do....Thanks for the weekend inspiration! I love to pay it forward. When I am on line and someone has less things than I do, I will let them go ahead of me. I love to give people the change they are driving themselves crazy looking for in their purse. My favorite thing we do is at Christmas time we will find someone driving around looking for a parking space and flag them to follow us to ours. Then we wish them a very merry Christmas. My husband says I could talk to a rock, I strike up so many conversations with people while we are out. That was very nice of someone to send you that necklace! Oh Lori, you don't have to send me anything, your blog is PIF enough for me - inspiration, fun and laughter! Look at all the happiness that has been passed on! In our everyday lives we have the best intentions, get busy and sometimes forget how a small anything can be so meaningful. I just had this conversation with a friend this week. I really like to do a "pay it forward" gesture and not let the person know who did it. Then it becomes even more about the DO-ing than the WHO-ing. Either way it's wonderful. What a wonderful surprise that must have been :) And that necklace is beautiful! I like to do things for people when I can whether it's totally random, or it's something they need any no one else will help them with. I'm actually kind of a doormat sometimes! Surprise gifts are extra fun though, so I'm going to have to work on that. How very thoughtful!! A wonderful thing to do. Thats a lovely necklace! Brittas work is so very unique and really Wonderful. I admire her beads alot as they are so earthy and all seem to have alittle story of their own. I was so wishing to of won her recent giveaway and who ever did sure was blessed. Youre so busy already Lori but I would love to be included. I'm not posting to play along, I just wanna say how much you deserve that necklace. You make my day with pretty much every post, because you share a lot of beautiful thoughts, insights and inspirations I would not want to do without anymore. I tell you what, rather than you sending me something (which would sort of render this comment pointless), I'll try and dedicate my next week (commencing Feb 14, my week's holiday) to random acts of kindness myself. And tell the world about them, because it seems that kindness is inspiring. 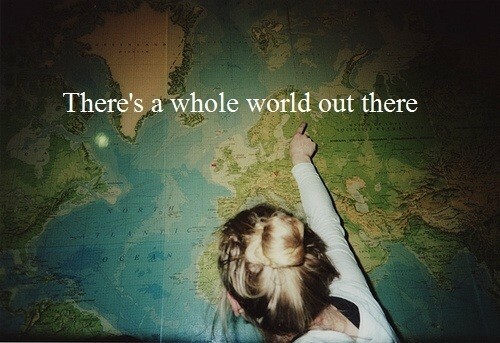 Thanks for your post, it's good to see that the world has more to offer than grime and filth! OK, those who say "don't include me" -- don't make me Google you!!!! Pass that address over! :-) You deserve something nice! I want to comment but not simply for the pay it forward aspect. I am a knitter, of socks and have met some great people through a website called Ravelry. Anyway, I am continually astounded magnamnity of craft people. I have strayed a little from sock knitting to beading, probably because I love color. Those gifts just lift us. I have been trying to do that in my life with friends. i love that necklace of Birgitta's and how lovely that someone was thinking nice thoughts about you to send it as a gift. i love pay it forward..and do it everyday..it doesn't take much energy, just a little extra thought to be kind and help make someone's day a little brighter. I'd love to pay it forward!I know it makes my day when someone compliments my outfit and I love to give other people that feeling too!! Thanks so much for doing this!! How lovely, it restores one's faith in human nature. Not that my faith was broken, but just occasionally shaken a little bit. 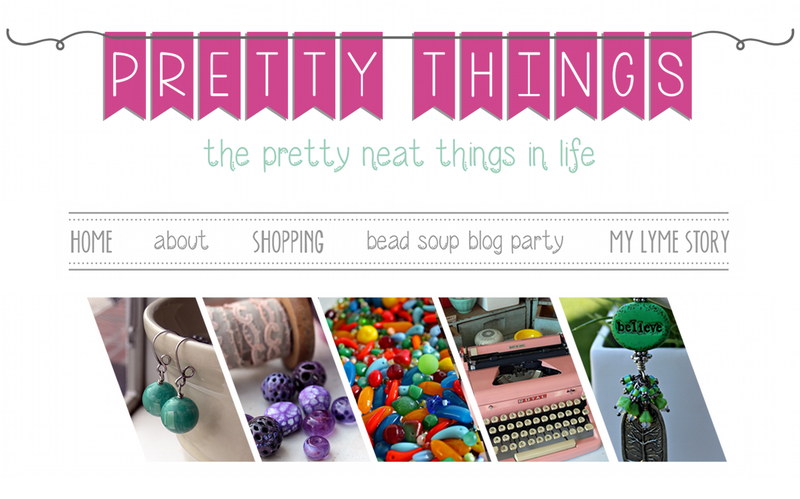 Your blog is lovely, your designs are beautiful, that is all that a person needs. Wow!! you would think it was my birhtday first to my surprise when i checked my blog to see if my fav blogger had something new to say & show u were added as a follower now i have 3 Yippy Skippy, then in your kindness you are offering to send us something! Well guess what is is my bday Feb 12 u joining my blog is gift enough & my fav thing to do is pay it forward:) thanks Lori u made my day!!!!! Hi it's me again i promise i am working on taking pics of my jewelry collection & getting them posted very soon my blog will not b empty for long. This is a completely awesome idea. I would love to be included and I would love to pay it forward! What a sweet and generous thing to do! I know just how you feel- little unexpected surprises are the best! I'll pay any surprise forward! what a cool idea. I've always loving giving and receiving things. It's really fun to give things, but not tell them who it was, and then to see their reactions...like your reaction. Just reading about this makes me want to pay it forward, no matter what, and that's what I'm going to do. I too support the pay it forward movement even if it's just a little trinket for a friend or a compliment to a perfect stranger. To see the look on these peoples faces brings me joy. I was just stopping by to thank you for your sweet comment on my blog...and then I saw what you've got planned here and I think it's so great!! Did you know that next week is Random Act of Kindness Week?...perfect timing on your part I'd say! I had no idea there was an actual RAK Week! Very cool. I feel like a bit of a right idiot now. I am in awe of how much you get done in your life. You have commented on I don't know how many blogs and are always the lady. Thank you for visiting my blog. I sure do enjoy visiting yours. You deserve all the best. This is a beautiful idea. Like you, I often forget the 'big events' but love giving gifts 'just because.' So lovely that some anonymous person gifted you with a treasure. I think we need more of this kind of generosity in life. Just think how the world would change by simple acts of everyday kindness. Wow...you must have been thrilled... I love the necklace!!! What a kind and wonderful thing for someone to do for you...obviously they find you deserving! Enjoy the compliment!!! You know, when I hear of someone receiving a free gift I don't automatically think they are bragging...sometimes they are simply saying thank you publicly...which can be a nice thing to do! I've always loved the concept of "paying it forward"...I like that you've taken it upon yourself to send random gifts/cards to others, such a thoughtful and generous think to do! Maybe the fact that you don't think you deserve the gifts is the greatest reason why you do! You aren't looking for people who can give you things. You are just being a genuine nice and loving person and sharing yourself. Congratulations on the wonderful gifts. Enjoy them! Brava! What a delightful idea. I love giving gifts for no reason also. OK, I'm in my Pay it Forward mode. I totally agree with you- paying it forward is so rewarding. I paid an entrtance fee to a local quilt show today for the person behind me in line. What a treat when I saw her inside and she demonstrated a new technique I had never seen before! Thank you! Lori, do you still have the big smile on your face from opening your gift? That is such a beautiful necklace. I also played the Pay It Forward on FB, and I would love to play with you as well. Your blog has been such a bright spot in my life, and I am learning so much from you and thru you. Lori, What a sweet gift you received. I love the red and turquoise combination. After a somewhat crappy week, I'm ready to PIF. Thank you for planting the seed ~ someone will be surprised tomorrow, can't wait. How lovely! I am a gifter like you so I get just as much joy out of watching the person open my gift as I do creating it! How exciting for you to have received a special gift from an anonymous person! I would love to participate in this! As I said above I am a gifter and I know how good it makes me feel and the person receiving it feel. That brings me so much joy! I love this idea and think you are so generous. I love doing things for people 'just because'. You are truly blessed. I wish I could help you figure out who sent you the necklace, but I can't. 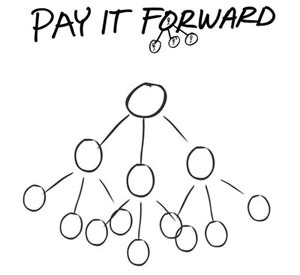 Pay it forward is great! What a wonderful story! It makes me feel warm and fuzzy. Lori - your blog today is a little affirmation the you and i are on the same page. Sharing the love is what it's all about! Wow Lori! You're niceness never ceases to surprise me. Thanks for wanting to spread love and joy to the world, goodness knows we need it today. I'm in love with those beads you got =] I'm going to start a pay it forward in my dorm, especially since everyone's getting cranky because of cabin fever. Lori, thanks for stopping by my blog today. You are a special person and go out of your way to help everyone. I also love giving and helping others. Years ago my Mother told me once when she was giving someone something for no reason "it's so much fun and it feels so good". It's funny the little things we remember and how much influence they have on us. The necklace was an awesome gift. Lori, How fun. I am excited to pay it forward. You are extremely generous and it will return to you. 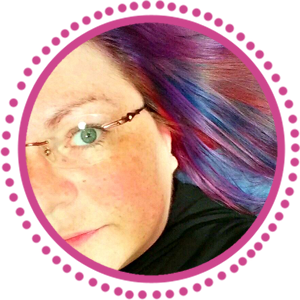 I love pay it forward, because I thank God every day for what I have, and little things like a card in the mail are important, a symbol or a bead or whatever, from someone know are friends on the blog and yet we may never meet. To keep that card on my table or near me when I work is very uplifting and creates for me a wonderful aura of happiness and warmth. There are no words actually to describe that feeling, but you did a great job. Thank for for your kindness Lori. What a great idea, we all need to do this to each other far more often in life, it is just to easy to get caught up in the hurly-burly of life and not think enough of others enough. I will definately do this, not only now but more often in the future too. Thankyou Lori for reminding us all to just stop and think about what is important...! Beautiful necklace from your PIF friend. Love the sweet idea! Lurker here on your blog and I just love you! But not in a stalkerish way! I always look forward to your posts! Have a wonderful day! What a wonderful story, Lori. I recently saw something on Facebook about Pay-It-Forward. What a great idea. My email address is retta6@aol.com. What a great idea and how lovely for someone to buy the necklace for you as a surprise, a secret admirer maybe! I would like to be in pay it forward. I'd like to pay it forward as well. Although you have 47 comments so you don't have to pay it forward to me. I'd like to do it anyways. That was a wonderful thing someone did for you! What a wonderful idea! On the show Cougar Town (my guilty pleasure)there was an episode on which they played with the idea of circle of love - giving a compliment and having the cheered receiver pass along the goodwill until the positive vibe came back to the orignator in some way. I believe you've put this idea to work bigtime! 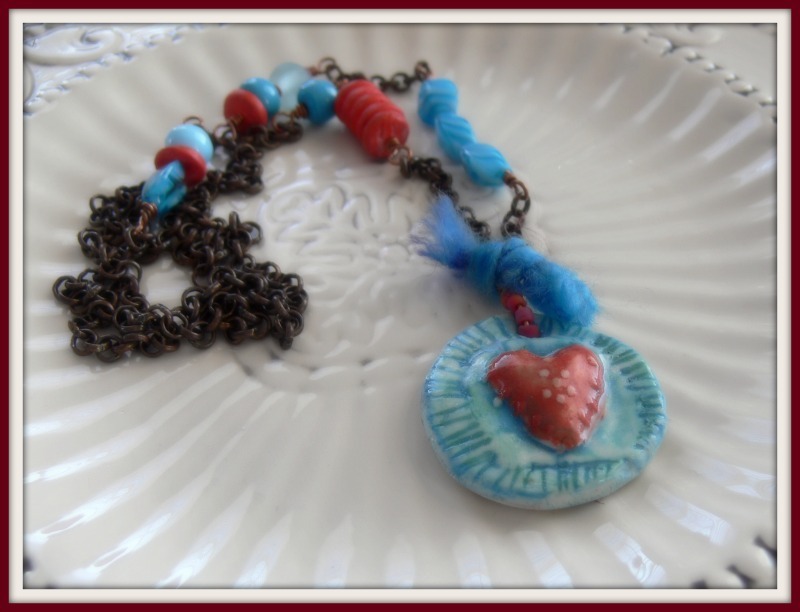 And, I've got to go check out Birgitta's site because I love that heart pendant! Your generosity is paying it forward in many ways. I love giving unexpected gifts, my mom did this too and I really love the anonymous giving. 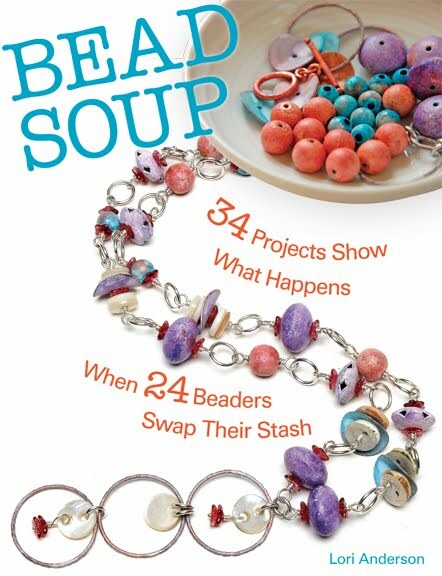 Love the cup of bead soup, great colors. I am making a pair of red and turquoise earrings and after reading your post I decided I am going to give them to my son's soccer team manager today. Lori~ I am so in for paying it forward! I love to live like this and have been so lucky to be welcomed in by such a wonderful community of beaders! You have been an inspiration to me and you also know you (although you didn't know it at the time) helped me through a scary time. So I love this resergence of "Paying it Forward" because everyone could use a smile. Wow, what a great idea! I love giving, it is such a great feeling to make someone else happy! This is such an awesome idea. An unexpected package in the mail always fills me with warm fuzzies. 2 days ago I got a Valentine card from my mom. At 29-years old I shouldn't be getting Valentine's cards from my mom but it just warmed my heart to know that she was thinking of me. I would love to participate in this. The necklace is awesome, Lori, I love it! And so kind of Brigitta to send all these beautiful extra goodies with it! You deserve it. Everything. Of course you do. I love the PIF idea and am looking forward to make some people happy. Let's pay it forward! I love this! I also did the Facebook one and loved making things for the people who signed up. I frequently pay for the person behind my in the drive-thru at Starbucks because I love the idea of someone feeling tickled pink when they go to pay and hearing that it's been paid for. So fun! I will absolutely pay this forward. sba13221 at flash dot net. Thanks for the fun. How very sweet of that secret someone to do something so kind and loving. Way to go you secret someone!! You have such a great heart! So glad you stopped by my blog!! aaaaach, well then. lisbonlioness AT gmail.com, but I shall STILL dedicate all next wek to random acts of kindness, blog them and of course send people over here to see what prompted me! That is wonderful of someone to do! It's great to get packages in the mail, but even better when they are unexpected gifts!! I LOVE turquoise and red together as well. Oh wow, what a touching story. Makes me want to go out right now and do something nice for someone. And you do deserve it by the way. You're one hard workin' woman! I just recently started following blogs, and follow yours religiously. Your posts inspire me! I do not have a blog....yet...But, plan on starting one soon. I am a elementary teacher by day and a self-taught jewelry designer by night! I absolutely love your idea of paying it forward and will love participating! Please include me! Thanks. What a wonderful gift, and what a wonderful person who bought it for you. I love the 'Pay It Forward' request. Count me in. What a splendid idea! I did a PIF on Havana Beads a while back and the person responded by telling me they made something for a good friend with my beads. Her friend was very ill. I love PIF and will work on something soon. Thanks! I've been out of town and am catching up on all the posts I've missed. I just wanted to add my two cents to agree with everyone else...the fact that someone would do that for you speaks volumes about you...and what a thoughtful person who decided to send you such a treat.